We are huge proponents of traveling with dogs, but I am a bit ashamed to admit that to date we haven’t always done so in the safest possible way. 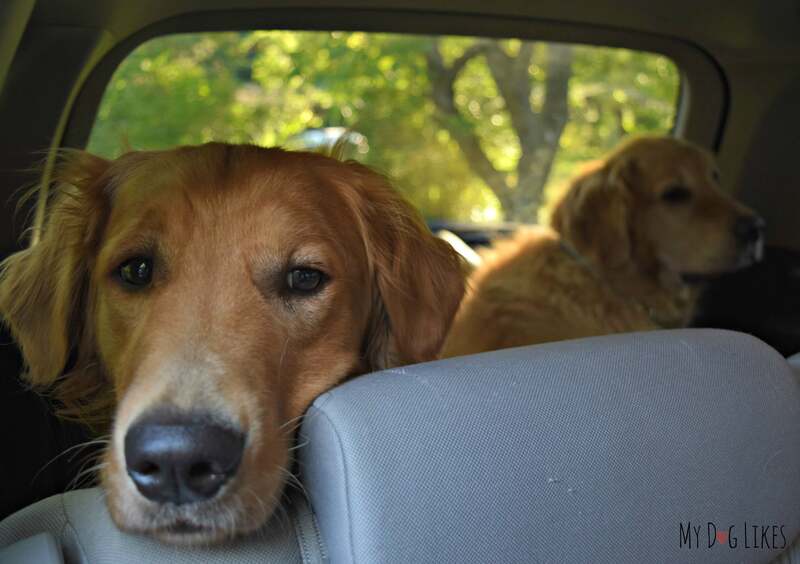 With 2 large dogs (Golden Retrievers), the pups are typically relegated to the cargo area of our Rav4. This means that there are no seat belts available to keep them tethered in place. While the backseat does keep them relatively contained, I am under no illusions that this would suffice in case of an accident. 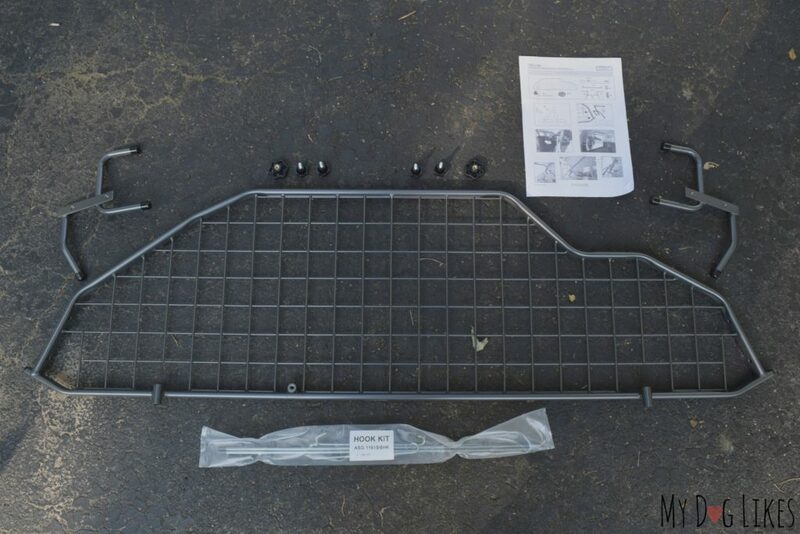 That is until we were recently contacted by Travall – a vehicle accessories manufacturer who specializes in pet barriers for just this type of situation. They sent us one to check out and are sponsoring this post so that we could share our opinions with our readers! Why Do You Need a Pet Barrier, Anyways? Do you remember watching those scary crash videos back in drivers ed? The ones with unbuckled passengers in the backseat? Well if not, the takeaway is that anything unsecured in your vehicle will become a projectile in the event of a crash. Now, remembering back to physics class, the momentum of an object equals its mass multiplied by its velocity. 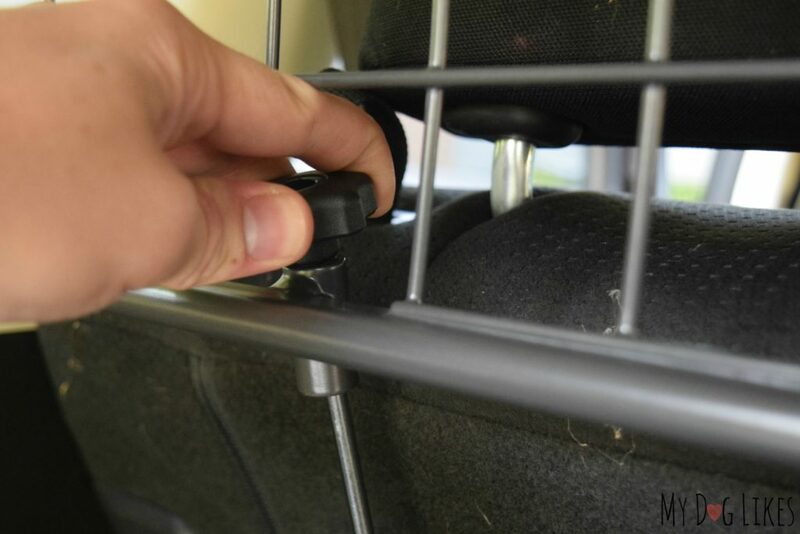 This means that a 75 lb dog traveling at 50 mph will be moving forward with the force of 3,750 lbs in the case of an impact! Not only is this unsafe for your dog, but it obviously would be devastating to anything in its path. 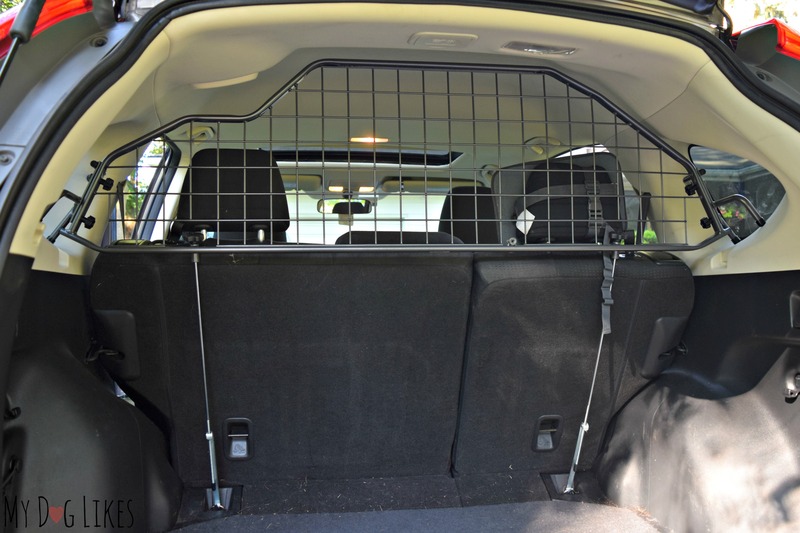 Pet Barrier’s like the Travall Guard fill the space above the backseat in order to keep your dog in the cargo area. They are also engineered to help absorb the impact of a crash – and to do so in the safest way possible. As you can see in the video, the overall structure of the guard is designed to maintain its shape, while the “mesh” portion deforms upon impact. This is by design because the greater the stopping distance, the less impact force on your dog. For the past decade, Travall has been manufacturing a wide variety of vehicle accessories – all designed for a specific make and model. These precisely engineered solutions guarantee a perfect fit, and thus a simple installation. While Travall makes accessories for nearly 1,000 vehicle models, they actually didn’t have a barrier for a 2010 Rav4. (Understandably as it is a 7 year old vehicle) Instead we ordered one for our good friends (and fellow dog lovers) Honda CRV to test out. The Travall Guard comes in a large cardboard box, and as soon as we opened it up we were very impressed with the quality. Not only does the powder coated steel look great, but it is actually non-toxic and chew resistant as well. 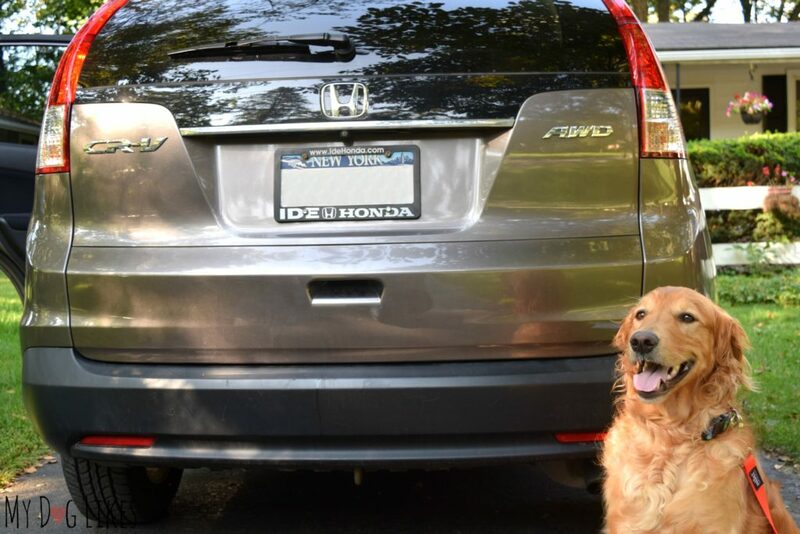 Perfect should your pup get a bit overzealous in the back! 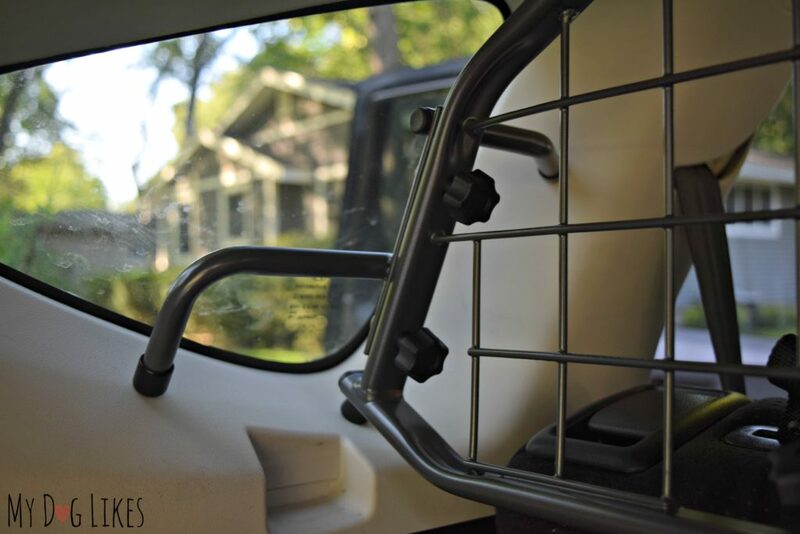 Just as each Travall Guard is designed for a specific vehicle, each instruction set is as well. We love that the company didn’t try to cut corners with a one size fits all direction set! These photo instructions allowed us to follow along exactly as it appeared in front of us. For our installation only one side arm could be attached to the frame outside the vehicle, and the other had to be done once it was in place. This was not difficult or awkward at all. After the barrier was positioned, it was time to install the vertical members which anchor to the floor. These are the pieces that really do the work of keeping the guard nice and secure, so take your time while tightening the screw knobs! I won’t get into too much detail about the process, as it may be a bit different depending on your vehicle, but it was not hard and required no tools whatsoever. It only took us about 15 minutes to figure everything out, though now that I am familiar with the process could probably do it again in 5! I was very impressed with how precisely the Travall Guard was made. The frame was perfectly cutout for the roof of the Honda CR-V and even accounted for the ceiling mounted belt buckle. 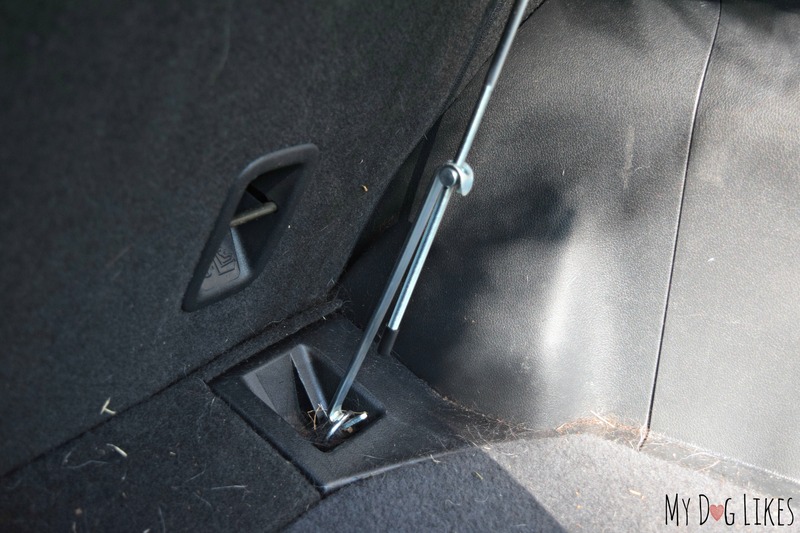 The side legs fit perfectly against the interior molding of the car, and the vertical supports were in perfect position to connect to the anchors in the floor. Once installed, the Travall Guard felt extremely secure. It is designed to fit snugly both horizontally and vertically, and the simple screw adjustments make sure of this. I was also impressed with the fact that the unit doesn’t take away any precious cargo space. The Travall pet barrier fits snugly against and on top of the backseat, completely out of the way of any usable space. 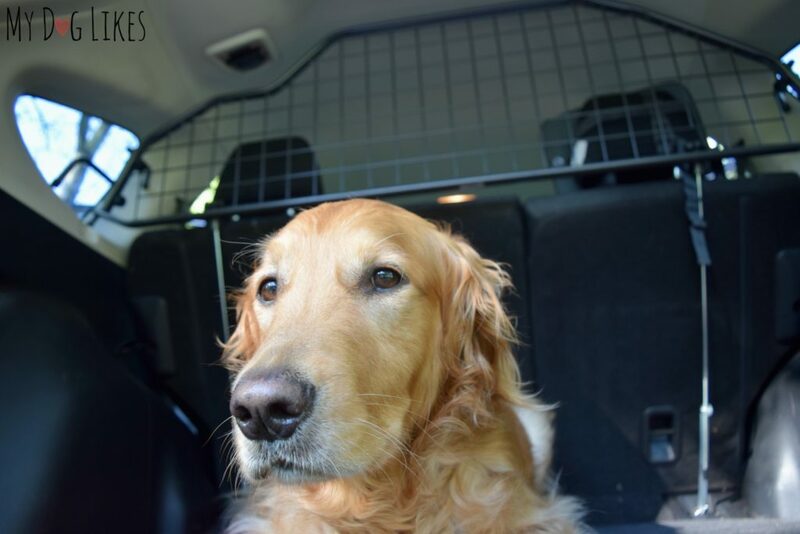 Whether or not you have ever thought about it before, our dogs are extremely vulnerable while traveling in the cargo area of a vehicle. Being loose in the event of a crash could cause them to go flying and put both them and the rest of your family in serious danger. 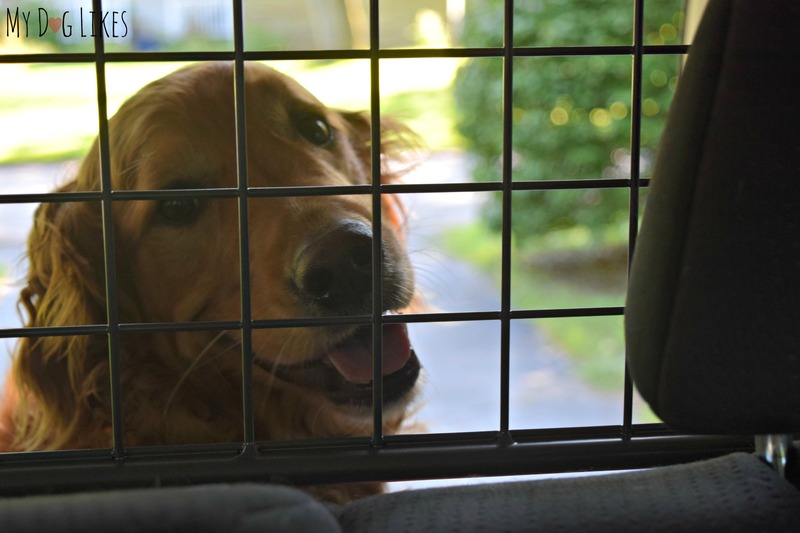 Keeping them contained with a pet barrier is a simple way to help keep them safe, and it will do wonders putting your mind at ease while traveling. And hey, there is a lot to be said for peace of mind! 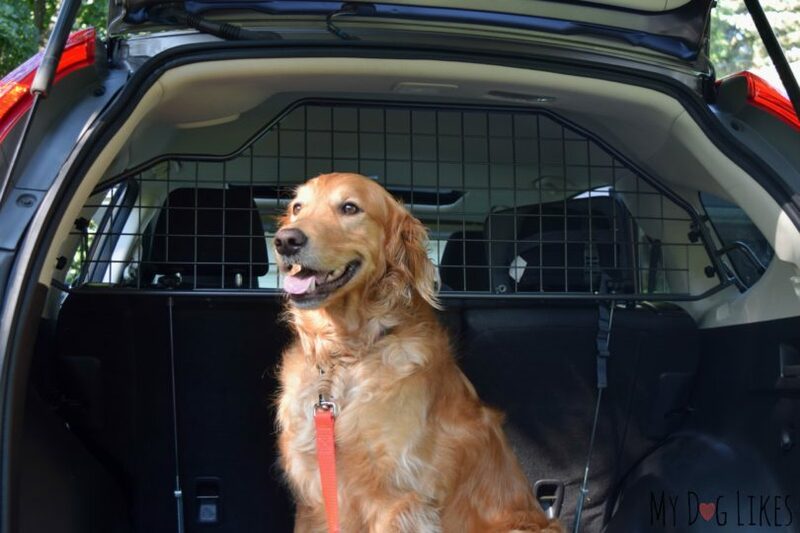 Travall Pet Guards are high quality, easy to install, and we can’t wait to try out more of their custom vehicle accessories! Sure, you may be able to find cheaper, one size fits all solutions… but they simply do not compare in terms of quality or ease of installation. Plus, why settle when it comes to something as important as the safety of your loved ones? We have one of these for our Rav4 (newer) and I love it. The quality is so impressive, and it keeps Luke safely in the back with no issues. What do you do if your car is a few years old & this company doesn’t offer a barrier for your vehicle? We have a 2010 Honda Element and Honda no longer makes elements. Click on the to buy link and it only offers an VW van. Their website appears not to be working. Have they done out of business? Hi Julie – Try this link for all the different vehicle options!